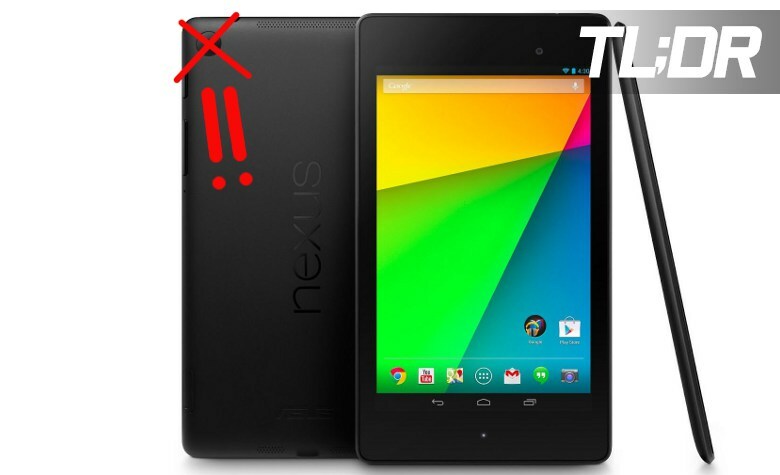 The new Nexus tablet has a rear facing camera. Damn It. It was just over a year ago, that our fearless leader, Brandon Miniman kicked off what has become a grand tradition of short, gut-reaction editorials – TL;DR. Now, with the release of the new Nexus tablet, Mr. Miniman’s editorial has been thrown asunder, his hopes and dreams dashed against the unyielding stones of progress and consumerism. Ok, so it’s not that tragic, but still. A rear-facing camera, Google? Not cool. It’s bad enough every time you go to a kid’s recital you have to contend with the iPhones and Galaxies hovering just above forehead level, but now we’re going to have to deal with encyclopedias being discreetly pointed down aisles or bleachers. I know, and all of you good readers know, that the only reason anyone should ever use a rear-facing camera on a tablet is to scan a document. But your average consumer doesn’t know that. 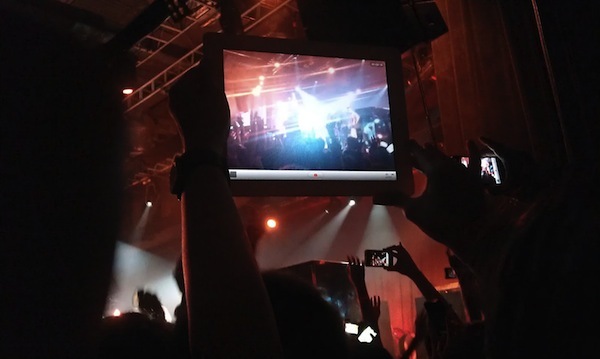 Your average consumer is a 40 year old housewife who is going to grab her e-reading, Netflix machine and hold it at arm’s length at a concert. Sure she’ll be capturing 47 seconds of janky Old Kids on the Block video and popping it straight up to Facebook (Do not pass Go, do not collect $200), but she’ll also be disrupting my perfect view of Donnie’s oh-so-fine gluteus. If this is you, I hate you. And I will beat you with a hammer. And while we’re at it, let’s also point out that if you’re using a tablet to scan a document, you’re doing it wrong. There are so many other ways to scan a document and so many of them don’t involve a 7” tablet hovering 16”over a marriage license one handed while craning your neck and trying to tap on just the right part of the screen. That excuse is just lame. There, I said it. Oh, and by the way – it was lame on the TouchPad Go too. You heard me. Google, last year, you made a statement. It was probably unintentional, but it rang true and resonated in purity through the hallowed halls of our offices from sea to shining sea. But now you’ve retreated, ingloriously and left us all to deal with Timmy’s mom blocking our view of our perfect angel singing an off-key rendition of The Wheels on the Bus. Well that’s just freakin’ ducky. The Pocketnow TLDR is a series of sub-500-word editorials aimed at getting you in, out, and back to life. Comment is always invited below, as well as on Facebook, Twitter, and Google Plus.